The numbers are in. 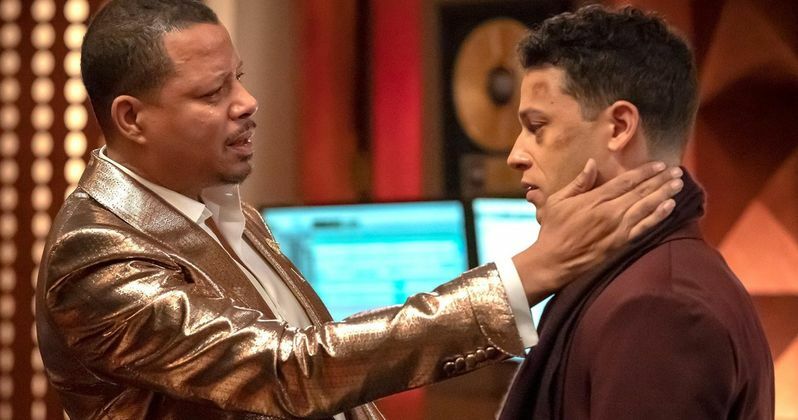 On Wednesday night, the Fox series Empire sunk further this week after an already near disastrous midseason premiere last week. The two bad-to-worse rated shows were the first original hours of the drama series to air since Jussie Smollett was arrested in Chicago. He is actively being charged with filing a false police report where he faces three years in prison if convicted. The Wednesday episode of Empire only managed a 1.1 rating/6 share among adults 18-49 with 4 million total viewers. That's the lowest numbers this show has seen since last Halloween when the show drew a 1.2 demo rating with 4.2 total audience members. Meanwhile in the midst of the collapse, Empire co-creator Lee Daniels is sounding off about the show's predicament. Just hours before the badly rated show aired Daniel's went off on social media, saying, "These past couple of weeks have been a freakin' rollercoaster." Daniels was obviously upset by the events and how they have affected the cast of his once hit TV show. Daniels, who is executive producer on the show, is facing the very real possibility that one of his shining cast members may get locked up for the next three years. Once they get over their anger and sadness about the turn of events that may lead to the downfall of Daniel's creation, the people at Empire are going to have to piece everything together in an attempt to get back to success. Daniels made it clear what the show stands for, how he wants the show to be seen, all in his recent heartfelt Instagram post. "The show was made bring America together, to talk about the atrocities happening right now in the streets." Maybe it's not quite a jump then for Jussie Smollett to create his own real life drama by allegedly faking a street atrocity trying to get one over on the public. After Jussie Smollett was arrested on February 21, Chicago prosecutors read out in court a lengthy series of text messages between Smollett and brothers Olabinjo and Abimbola Osundairo that clearly showed the so called attack on Jussie was completely contrived. Far from being the horrible racist and homophobic assault Smollett first reported in late January, the texts detail the group planning the whole thing from the very start. They all exchanged texts talking about preparing money to buy supplies, buying drugs, setting up meetings and ensuring that MAGA hats and the MAGA catch phrase were part of the assault. Jussie's upcoming court appearances to face charges for his stunt may or may not conflict with his Empire shooting schedule. The show is pretty much guaranteed to get renewed next season, the question is: Will Jussie Smollett still have his part when the deal gets inked? Terrence Howard and Taraji P. will no doubt be signed on again as the main players of the show next season, but their embattled cast member may not be there to enjoy the honor with them considering the dubious circumstances he has now surrounding him. Smollett is due before a Chicago judge on April 17. This story comes from The Wrap.